Saturday’s trade of Josh Beckett, Adrian Gonzalez, and Carl Crawford to the Los Angeles Dodgers was the perfect sign of defeat for the 2012 Red Sox. This season is over. Done. Fini. To say this is a blockbuster sale would be an understatement, and a credit to the Blockbuster organization. Much like the once popular video rental store the Los Angeles Dodgers are quickly becoming a hot-topic once again and a hot ticket. It’s cool once again to be wearing that distinct Dodger blue and even more hip to rock that Brooklyn swag. The same cannot be said of wearing that Boston B or any other Red Sox apparel. Getting up and going to Fenway, while still fun, just isn’t even the same experience this summer either. In fact, it’s almost depressing. The Boston Red Sox became World Champions in 2004 through the Moneyball ideas of baseball, knowing that expected wins could be bought. At the time the organization was still utilizing short term contracts for players, even those who were already proven, to keep the players motivated. Athletes in a contract year, that is a year when they are in the final season of their contract, tend to be perform better to try to make more cash on their next contract. Quick contracts help organizations get the most out of their players. Long term contracts, while not an exclusive reason for, can be a reason that players decide to just settle. They just chill, play to not get hurt, play for their own stats, spend more time chatting up media members than in the weight room hitting it hard. Much the way that people buy into the corporate world and instead of implementing changes that they know could be positive, they play it safe in fear of rejection, and get too comfortable in their ways. That is what happened with the Boston Red Sox in 2012, players got way too comfortable with losing and playing poorly. Even when they disagreed with management their cries went unheard as tension was building. The trade announced last night is the latest attempt to change that, to change the culture of accepting losing. It’s an attempt to turn a team that historically collapsed last September and then severely underplayed to their potentials over the first 100-plus games this year back into a contender and into a feared team, only after they first become even a respected club. Red Sox fans, Adrian Gonzalez was the only player involved in this huge trade. Yes it is true that Josh Beckett and Carl Crawford were also sent to the far coast in this move, but for the money that those guys are making they are very replaceable for Boston. They are also both controversial players in a clubhouse that needs to get out of the spotlight while they rebuild and retool. Josh Beckett will be mentioned in every chicken and beer reference by Red Sox Nation for years to come, and Carl Crawford was approaching Carl Everett levels of crazy with his desire to get Tommy John surgery before he really needed it. With those players out of the clubhouse and their millions of salary off the books and left to spend on younger players who buy into a team first mentality this trade can be a good thing for the Red Sox, eventually. 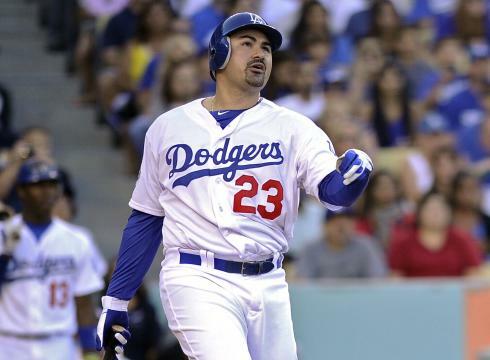 In the short term (and probably long term) losing Adrian Gonzalez hurts. 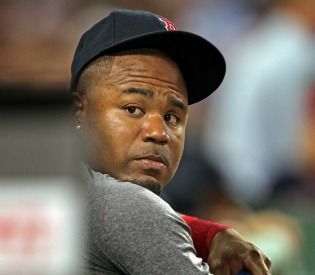 Carl Crawford is a player that just never worked out in Boston. He was a risky acquisition at the time he was brought in, and a player that was moved to Boston as a name; a superstar player who needed to make a home for himself in a large market . It didn’t quite work out that way as Crawford played a total of 161 games in his two years in Beantown. He hit .260, with 14 homeruns and 75 RBIs during his two years in Boston while expected to be a key player on a championship level team. As a team this organization failed to live up to its end of the bargain, and personally Crawford is a guy who needs to be held responsible for much of the woes of this ballclub over the past couple seasons. 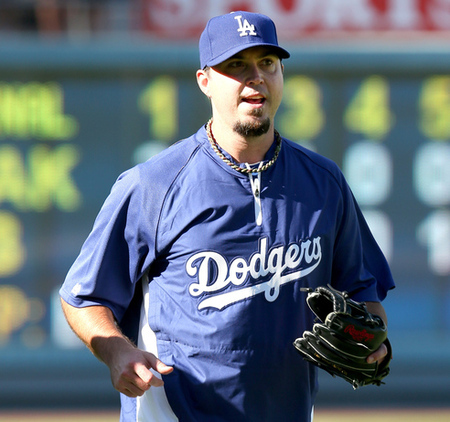 Josh Beckett has become synonymous with losing in Boston. It is crazy to think that the pitcher who was a key member of the 2007 World Champions squad would be a player that Boston would give up to get rid of not in an attempt to pick up some younger prospect but as a forced addition to a trade meant only as a dump of gigantic salaries and underperforming athletes. People forget how good Beckett was, and the worst part about is that the statement is an admission that it is what he was, not who he is now. Today’s Josh Beckett is a man who doesn’t care about baseball and winning, his only thought is about enjoying his life and the millions he’s earned working his tail off as a ballplayer. He is out of shape now and not the athlete he was even a few years ago and it is is definitely hurting him out on the mound, he’s a broken man. This fire sale over the weekend shows what the Red Sox think of their long contracts for players who quite frankly haven’t played to the level that was expected of them. There aren’t too many chances in life when you can get $200-plus million written off the books legally, and with the Dodgers overeager to acquire an available Adrian Gonzalez the Red Sox took the opportunity to unload some salary. With the Dodgers willing to take Carl Crawford (a player who had TJ surgery at the end of last week) and Josh Beckett (a guy who was just 5-11 with a an ERA over 5 this year) and their monster contracts, the Sox seized this chance and waived the white flag. This entry was posted in MLB and tagged Baseball, Dodgers, Highway Robbery, MLB, Red Sox, Sports. Bookmark the permalink.